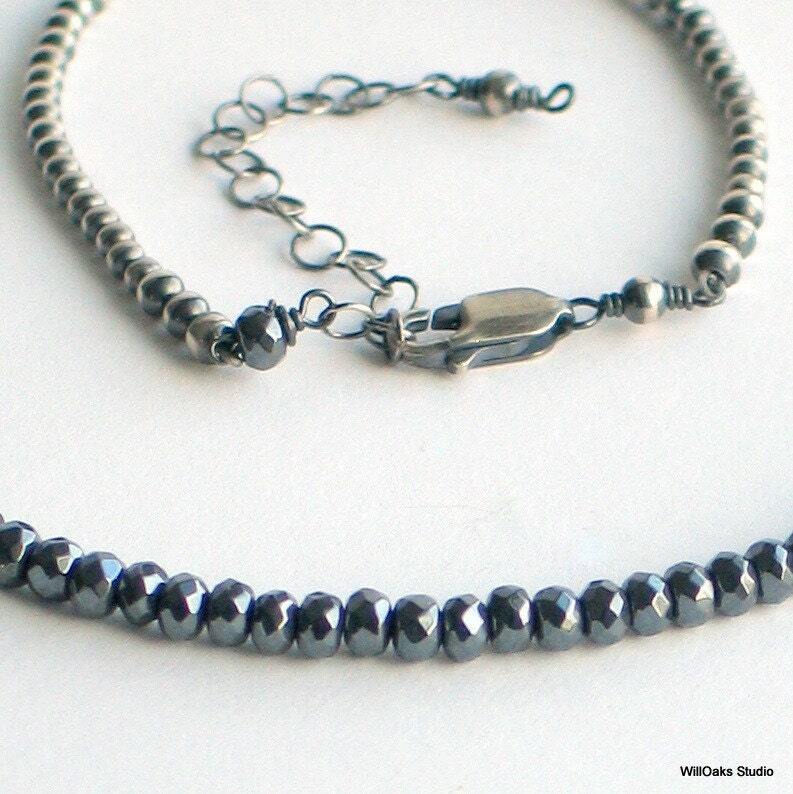 A stone beaded choker necklace in dark gray sparkly hematite, small and faceted beads, on an oxidized sterling beaded chain. WillOaks Studio original design in the "Special Chain" series features 5 inches of dainty faceted stones flanked by buffed oxidized sterling for an elegant, understated necklace perfect alone or for layering. 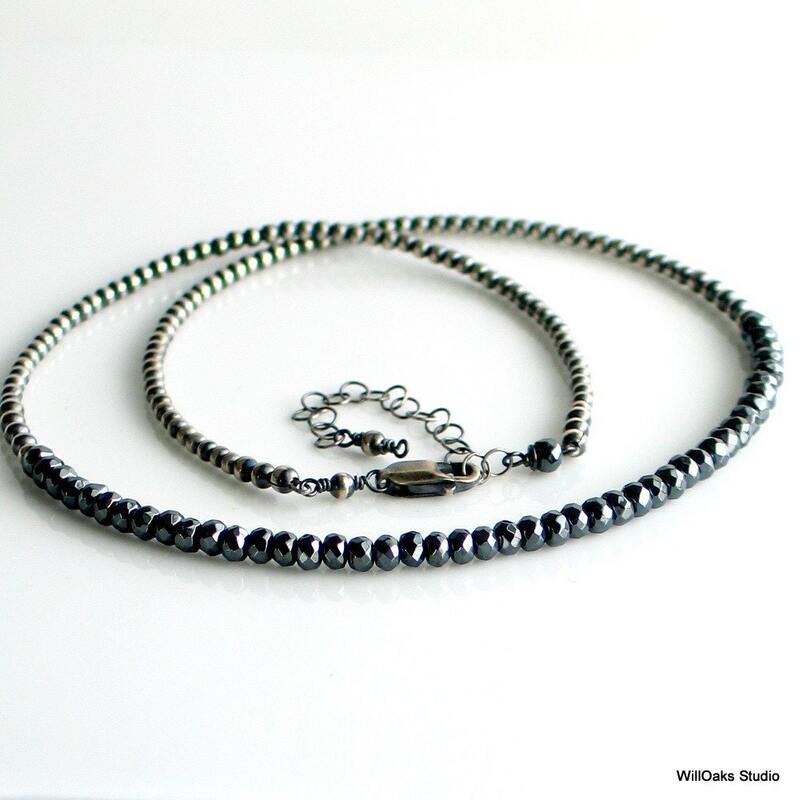 My original chain of oxidized sterling is hand finished to create a unique sterling silver beaded "chain" which adjusts from 16 1/2" to 18 1/2" long, closing with a sterling silver clasp and an extension chain. 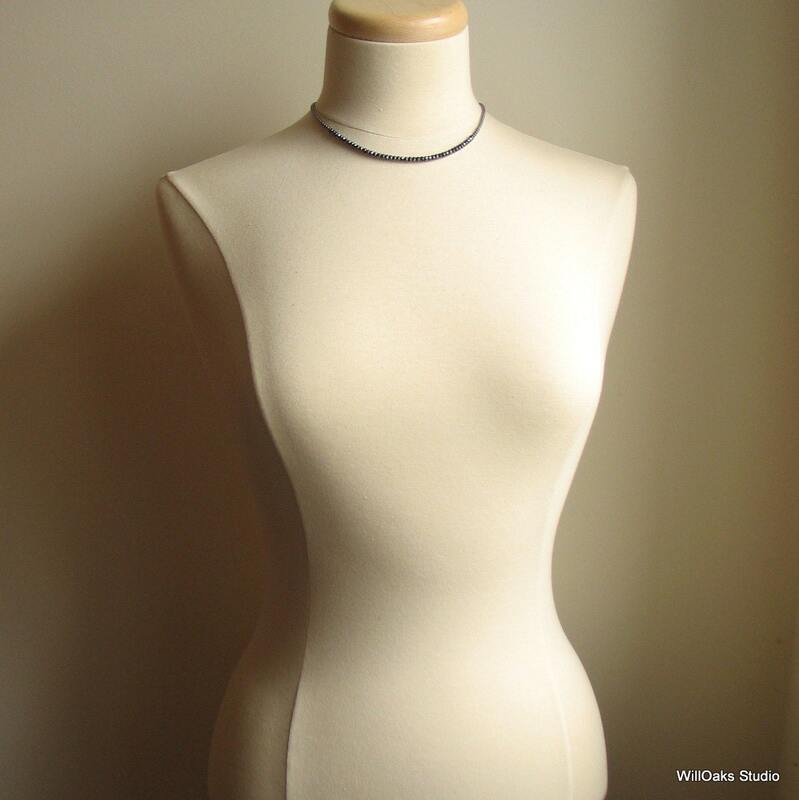 This demure, very comfortable design works well with many different necklines and the facets do create a wonderful sparkle when they capture light. 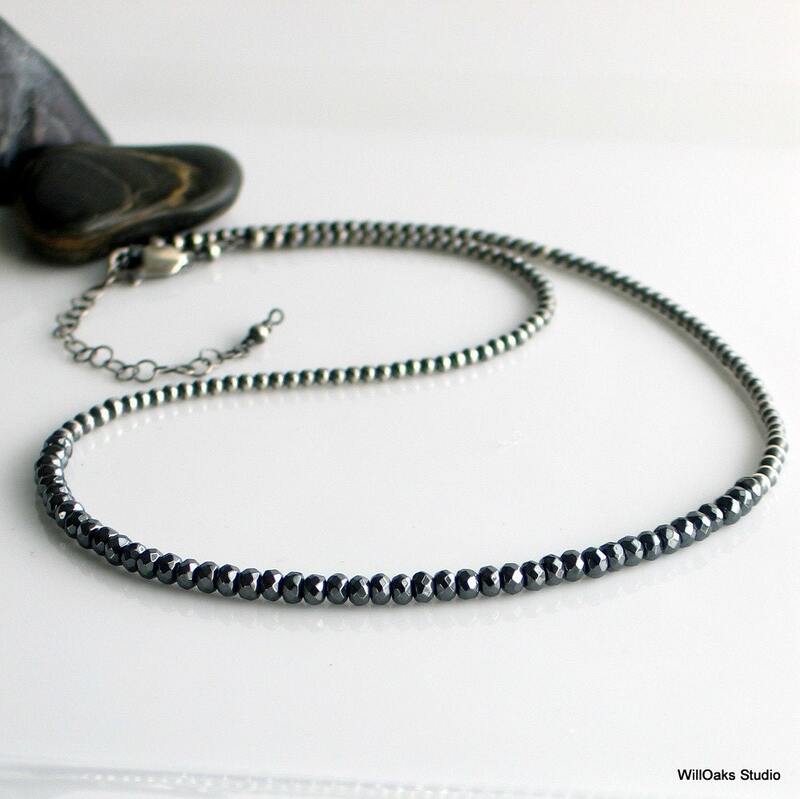 The 4 mm faceted stones are a very dark gray with a brilliant polish and create a playful contrast with light and dark pattern of the chain. 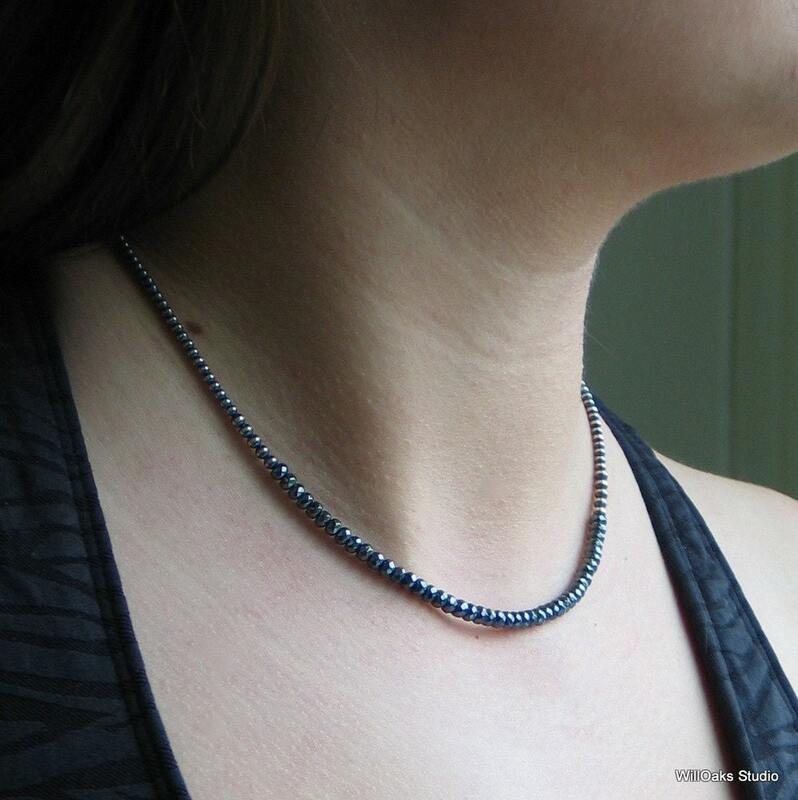 The "chain" incorporates 3 mm and 2 mm sterling silver beads. All WillOaks Studio necklaces are carefully packaged in a signature, cotton filled box, all ready to give or to keep. And there is a lot more where that came from in my studio here - https://www.etsy.com/shop/WillOaksStudio! Thanks for stopping by!